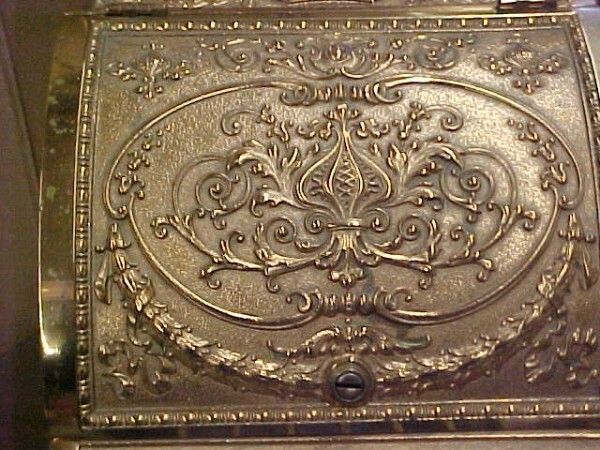 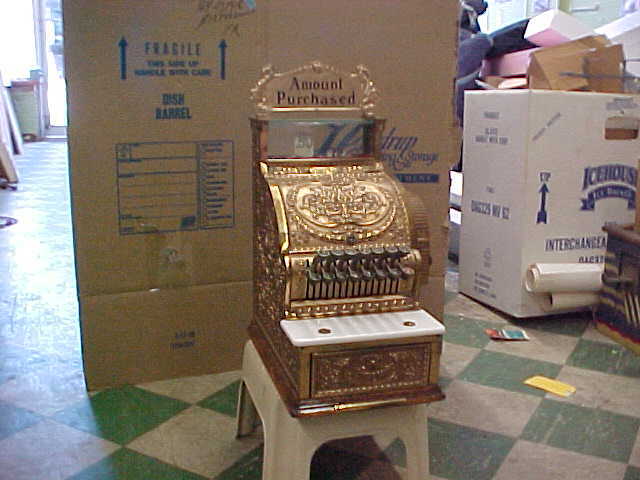 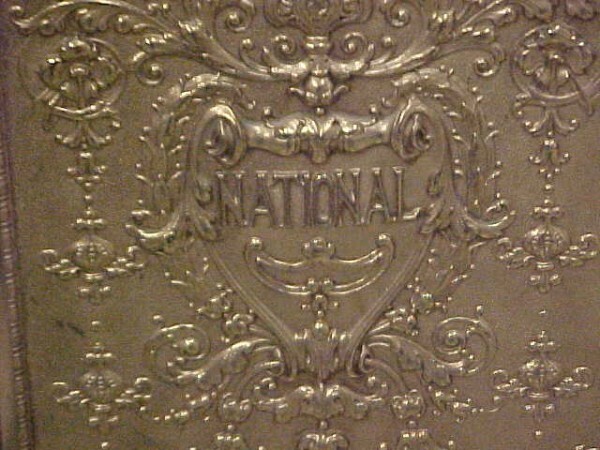 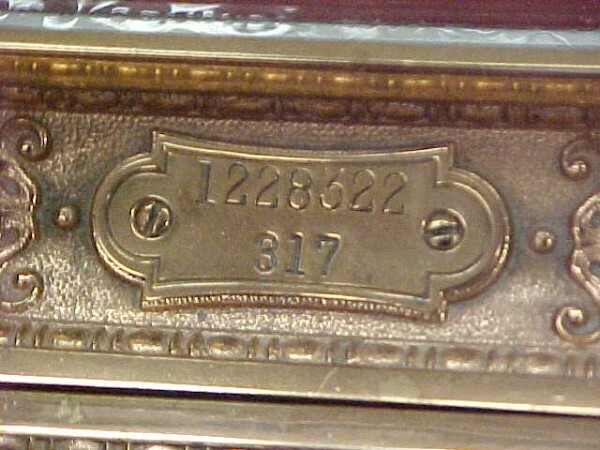 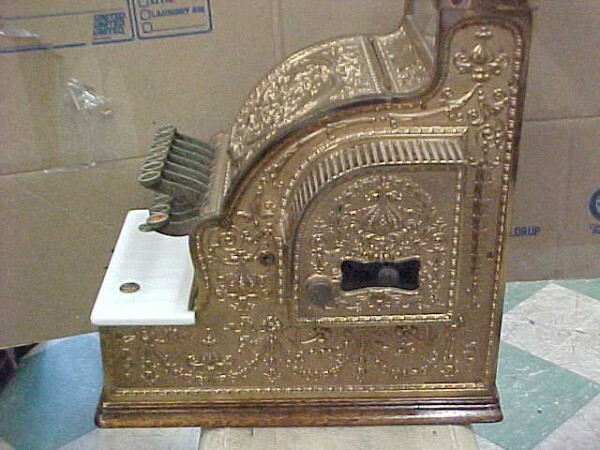 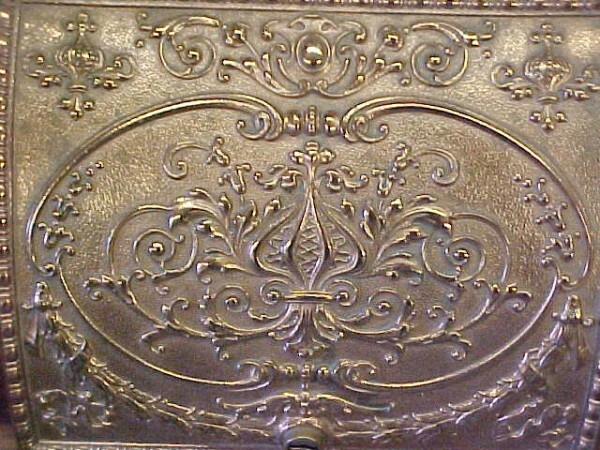 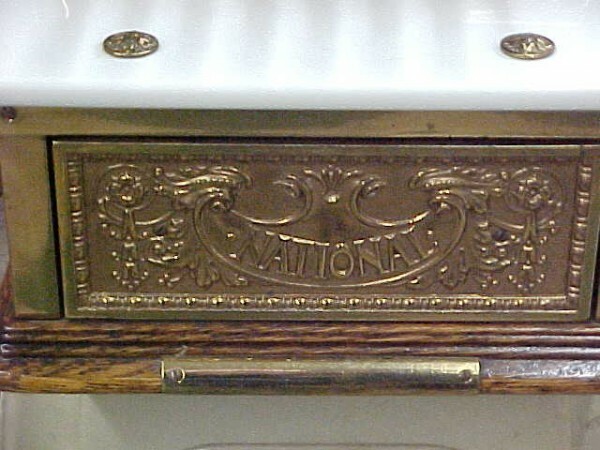 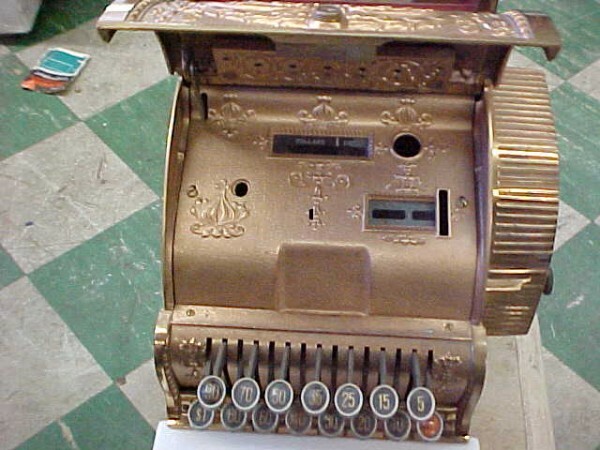 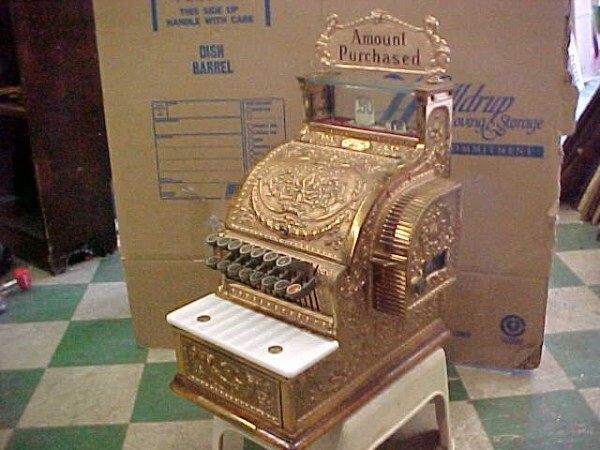 Ca…ching/ Wonderful early antique 317 National brass cash register. 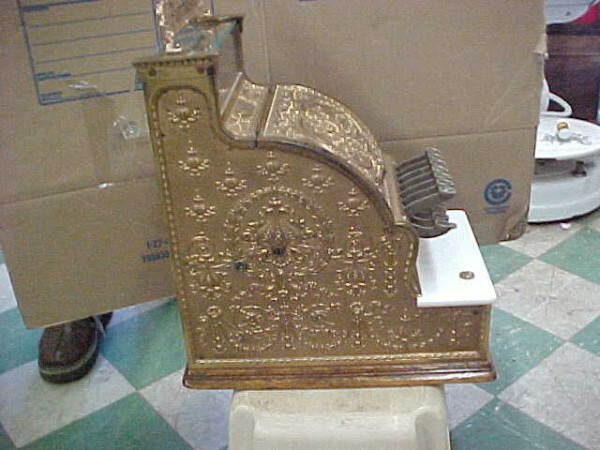 This register is referred to as a candy store or barber shop model used in the late 1800’s, early 1900’s. 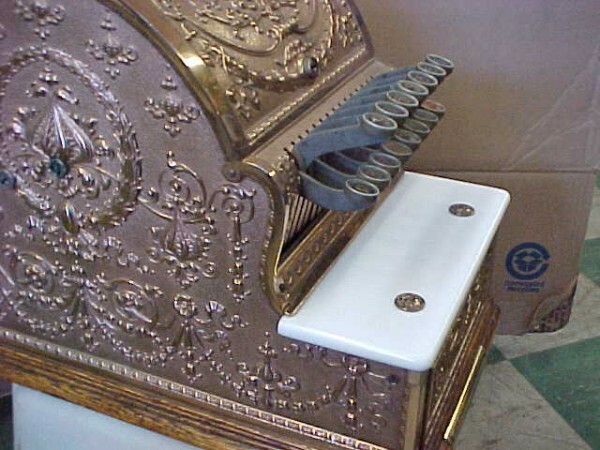 Nice working condition. 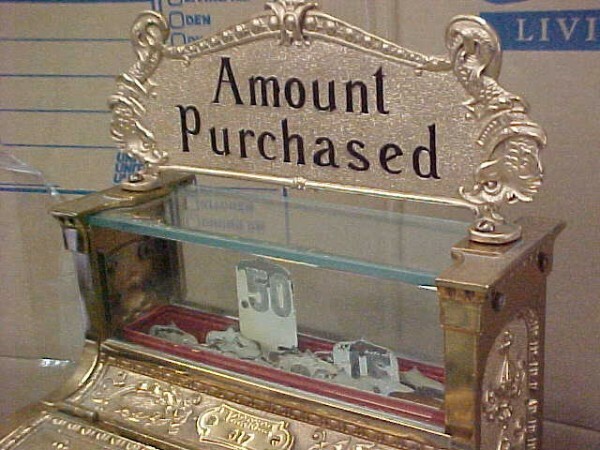 All original with exception of the top “Amount Purchased” sign that is a quality reproduction. 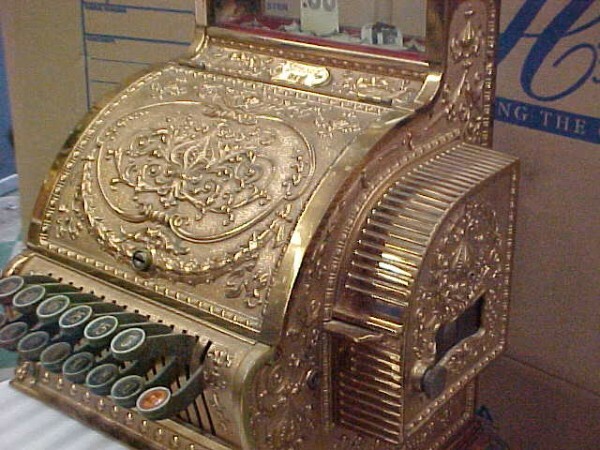 A piece for the game room or den………….